Cord Cutters worldwide agree the Amazon Fire TV and Firestick are some of the best streaming devices available for the price. The worst thing about these streaming media players may be their tiny 8 GB internal storage. This small memory profile fills up quickly, causing slow response times and even unresponsive behavior in the Fire Stick. Your Firestick or Fire TV will be much more responsive and feel like new again once you factory reset them. If you have a 2nd Generation Amazon Fire TV, you can cheaply upgrade your storage capacity with an SD card. The 2nd gen Fire TV will even use an inserted SD card first when saving apps downloaded from the Amazon App Store or sideloaded from third-party developers before filling up the internal storage. These fantastic devices were discontinued for some reason by Amazon, likely to avoid competing with the new Fire TV Cube. A second generation Fire TV does occasionally pop up as a refurbished item in the Amazon store. Note that if you’re using Kodi or another Firestick jailbreaking app, your ISP (Internet Service Provider) may be slowing down your internet connection. This slowing of internet connections happens quite often when people stream without a VPN to mask their activity. The resulting lag and buffering can seem like the Firestick is at fault when really it’s your connection to the internet being wide open for anyone to see. The IPVanish VPN app for Firestick and Fire TV encrypts your connection so that even your ISP only sees random noise when monitoring your connection. Right now, you can try the best VPN in the world risk-free with a 7-day money back guarantee. Resetting a Firestick or Fire TV takes only a few minutes and is even easier than unboxing a new Fire Stick. Note that all of your settings, apps, and files will be erased from your Fire OS system when you reset it, so be sure the issue isn’t just your connection being tampered with by your ISP or a bad WiFi connection. You’ll need to reinstall everything again after the reset. This includes apps not provided by the Amazon App Store such as Kodi or any of the other streaming Firestick apps. If your VPN is working fine and the issues continue, then the functional improvement to your Firestick makes the effort of a factory reset totally worth the app reinstalls and setup. Go into the Settings area from your Firestick home screen. Head to the right and click on the System section. Scroll down then click Reset to Factory Defaults. You will be warned You are about to reset your Fire TV to its original factory settings. Your sign-in information and personal preferences will be lost. Go ahead and click the Reset button. This Firestick restore process usually takes about 5 to 10 minutes or so. After that time, your Amazon Fire TV will be reset to factory settings and ready for setup. You can then reinstall the and go through the few steps necessary to jailbreak the Firestick. You’ll soon have the entire world of entertainment at your fingertips once more. If your Firestick or Fire TV is frozen or has a black screen, you may be unable to access the Firestick Settings area to reset your Fire TV or Fire TV Stick. In that case, press and hold the Right and Back buttons at the same time on your Fire TV remote for 10 seconds or more to initiate a Factory Reset. If you don’t happen to have the Fire TV remote control on hand, first check the couch cushions. If it isn’t there, you might want to ask a friend with a Fire TV or Firestick if you can borrow their remote to pair with your device for the reset. Failing even that, you can always download the Fire TV Remote app from the Amazon App Store onto your Android phone or tablet and use it to navigate the Fire OS settings and get your Firestick reset. 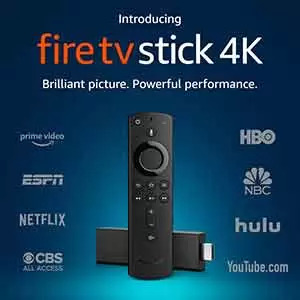 While I won’t get into the details in this article about how to hack your Firestick for complete control of the Amazon FireOS system files, the technologically curious and/or adept may take this route. You can access the restoration settings if you know something about HDMI Consumer Electronics Control (CEC) and how you can use your TV remote to control your Firestick or Fire TV. 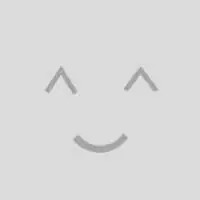 The linked page starts down a very long, dark rabbit hole of true rooting and altering configuration files within your Firestick or Fire TV system FireOS directories. I say “true rooting” because many people seem to think jailbreaking a Firestick is rooting it. Rooting devices gives far more control, but requires far more understanding and responsibility. Once your Firestick is reset, you’ll want to install some great streaming apps onto it. Head over to our list of the best Firestick apps to get that started. You may even find some new favorites in there along with all the great Kodi addons to bring you every movie, TV show, and sporting event you want to watch. Your Fire TV and Firestick will feel like new and the streams will flow like spice once more. I just received my new Fire TV Stick 4k from Amazon and started the jailbreak process via your instructions. Step #3 Says to go to Applications. Step #4 says to toggle Collect App Usage Data to ‘off’. However, Collect App Usage Data does not appear when I click on Applications. Help please. Hi, Rhonda. I’m really sorry it took so long to respond. The error on the Firestick Jailbreak article was my own and I thank you very much for pointing it out to me. It has been fixed now thanks to you. This will set my Firestick back to just like the day I got it? Yes, although I believe you’ll need to authorize it once more with Amazon before it’s really like the day you got it. That’s assuming you received a new Firestick directly from Amazon. If you want to take that Firestick to the max and enjoy tons of free streaming content once you reset it, check out our jailbreak Firestick guide. If I do a restart to default and I have an iptv subscription on the firestick, will I lose this or can I just reinstall it with the same log in details from the iptv provider? Hey Chris, you should be fine simply providing the login details once more to get the IPTV service hooked back up. I’m not sure which IPTV service you’re using, but if for some odd reason you can’t easily get it working again on the freshly reset Firestick, check out some of these free IPTV channels while you get it sorted with the provider.